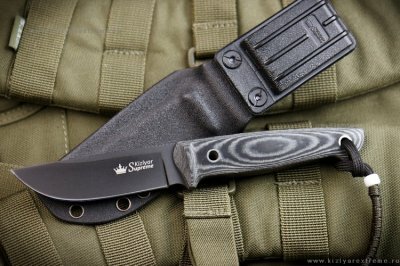 When you need a knife that can handle any task you throw at it then the Sterkh-1 is the knife for you. 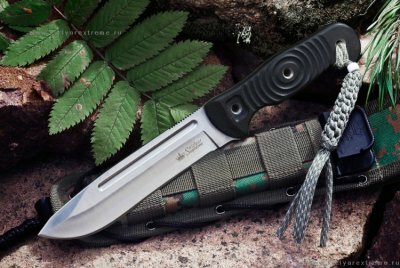 From skinning rabbits, pigs and other game animals, to cutting rope bailing twine and fire sticks, this knife can handle just about any job you wish to take on. Designed as a modern version of the traditional Artic and Russian knives, it is an age old pattern that has been resurrected and given a new lease on life, only this time with modern materials and modern construction methods. 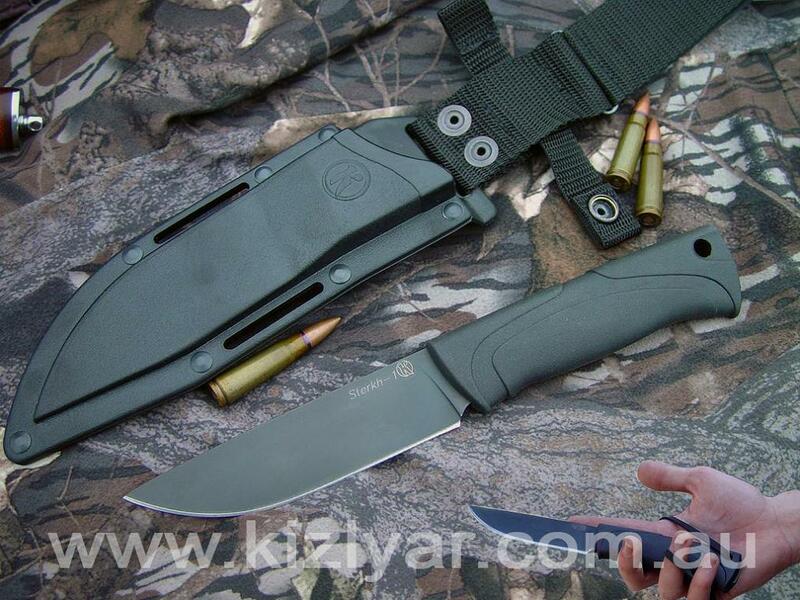 Featuring Kizlyar’s unique 2 piece construction, the knife is fitted with a molded black Elastron handle contoured to fit the hand and grooved to reduce twisting and increase leverage during hard use. 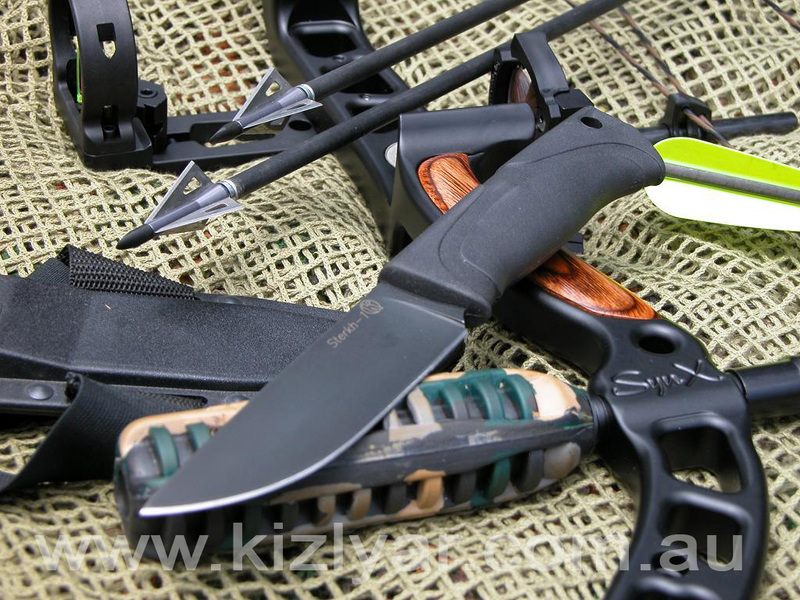 The handle is molded around and into the tang in such a way that even if the handle were to work it’s way loose it could not come free of the tang. 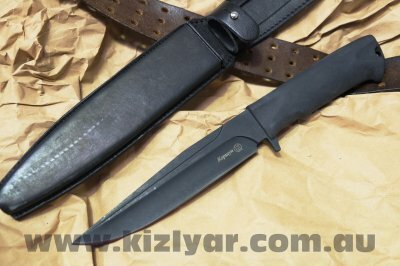 The medium thickness, black oxide coated blade is fully flat ground giving a fine slicing edge while still retaining a thin blade back or spine. 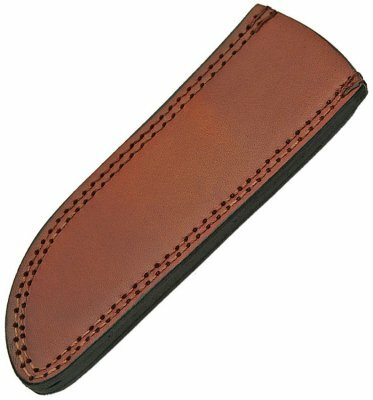 This serves to make it a highly flexible knife able to skin game but also to slice and shave hard material, including fine wood work using the blade tip.